Two years later, and against much scrutiny, Meagan returned to the horse industry with a fresh outlook and an understanding of the need for a truly safe horse and rider. Meagan has since worked as Head Instructor of Mullingar Equestrian Centre, in Co-Westmeath, Ireland where she ran a 70 horse yard with students from all over Europe. 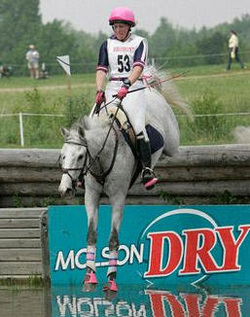 She has also worked as Director of a prominent Toronto riding school where she worked with riders of all levels. 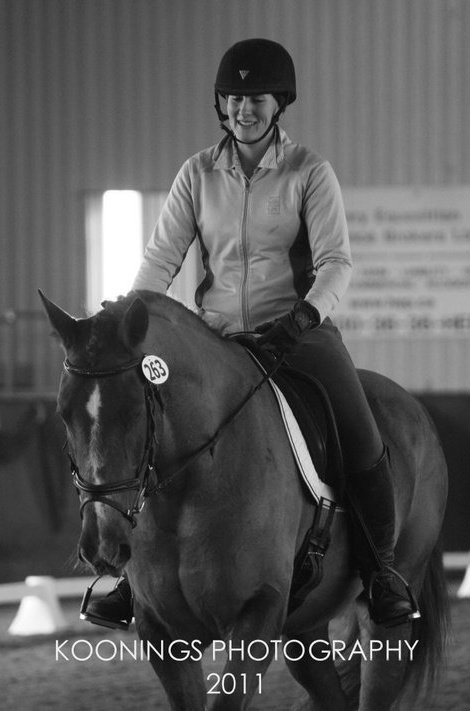 With BHS training, Meagan easily acquired her competition coach status, and recently was awarded 2013 Ontario Equestrian Federation Coach of the Year Award. She specializes in building a students confidence while instilling correct basics to optimize safety. Her students results speak for themselves, as they are rarely out of the ribbons. In 2012 most of Team Tiara accomplished far more than the goals they outlined for their season. 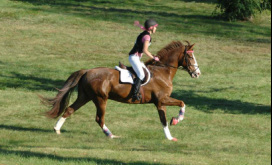 With injuries, and limitations still in mind, Meagan has revised her training to finding and educating green horses who have the minds to be safe, dependable citizens suitable for an average rider, not just a professional. 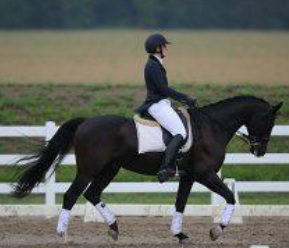 She strives to produce a solid, straightforward entry/pretraining type event horse with a solid foundation who can move on in the Eventing world, or branch out to other disciplines with ease. What she produces for the market, is honestly advertised, and as safe and desensitized as possible.